Wash windows inside and out. Wipe down the sills. Wash out trash cans and disinfect them. Sweep porch and deck, as well as around doors and windows to get rid of cobwebs and debris. Wash outdoor furniture- you can use mild dishwashing detergent. 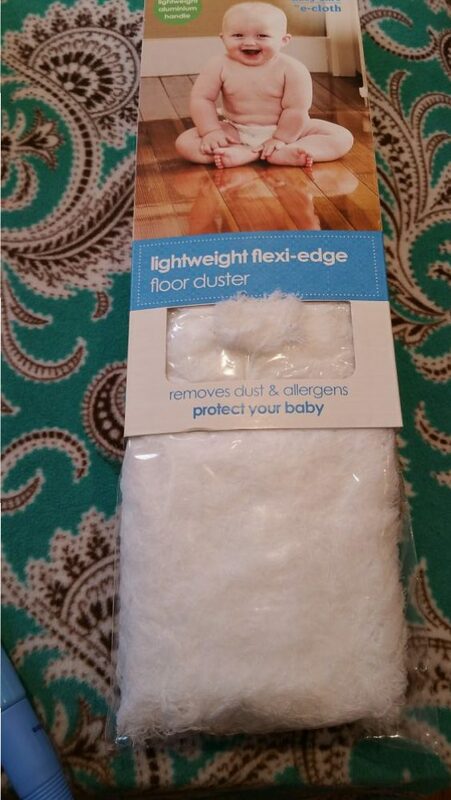 Dust home thoroughly, make sure to take everything off shelves, tabletops, and dressers. Get in all the nooks and crannies you don’t get through regular cleaning. Get ceiling fans, bookcases, baseboards, and doorways, behind doors. Clean curtains and drapes by running them through the air-fluff cycle in the dryer with a damp towel (gets the dust off) for about 15 minutes. Put back up as soon as you take out of the dryer. Clean upholstered furniture, make sure to vacuum the pillows too. If there are stains, clean according to the care label. 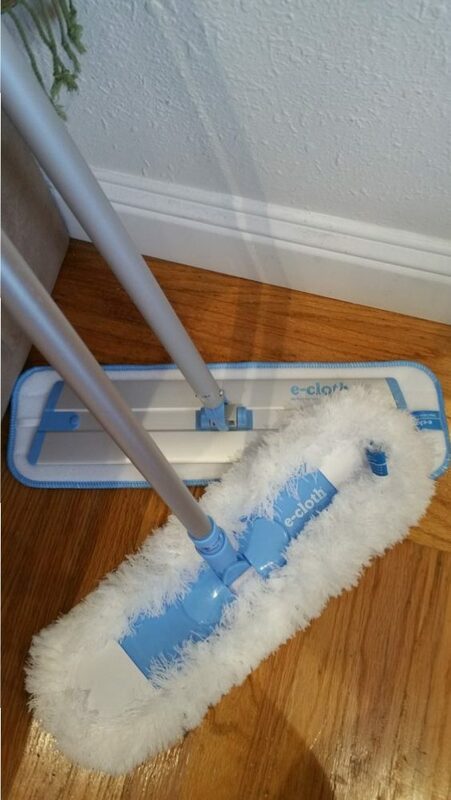 Move furniture away from walls and clean underneath with vacuum. Very good time to move the rooms around. New look and clean all at the same time. Have your carpets professionally cleaned and wax wooden floors. Turn over all mattresses in bedrooms. Vacuum mattress on both side then flip it over. Do this at least 4x a year. Clean all bedding and pillows. Air out blankets before putting on the bed. Then store winter bedding away. Switch out cool-weather clothing for warm-weather clothes. Be sure to wash or dry-clean winter clothing before storing. Spring In- Winter Out! Clean inside the refrigerator. Wipe down everything. Pull everything out, throw away items that are expired or no longer will eat. The best cleaner is a combination of abrasive salt and bubbly soda water. Clean all the chrome, glass and stainless steel appliances. Best cleaner is a spray bottle with a mixture of 50 percent rubbing alcohol and 50 percent water. Top of stove: use a toothbrush to remove food from around the burners, knobs, and dials. Clean inside oven- set your oven to self-clean. Pantry/Cupboard: reorganize pantry, and throw out any expired foods. Clean walls- Spray a generous amount of bathroom spray or pine cleaner to the shower and bathroom walls. Let stand while cleaning another part of the house. Come back and wipe down everything. Drawers- clean out and throw away items that are expired or don’t use. Take a walk down the cleaning aisle, and there’s no doubt that fragrance is a major player in the cleaning product industry. These added aromas may encourage us to get our house smelling clean, but could be harming our health! Fragrances added to many cleaners can cause acute effects such as respiratory irritation, headache, sneezing, watery eyes, allergies, and asthma. The National Institute of Occupational Safety and Health has found that one-third of the substances used in fragrances are toxic and can even cause Cancer! Good news! Now there is a better, safer way to clean your home and protect your family from harmful fumes. 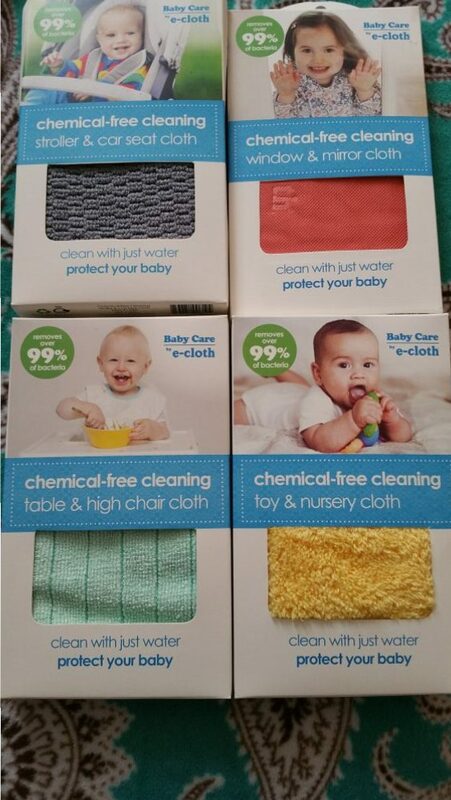 Baby Care by e-cloth® is the safe cleaning choice for thoughtful moms who want to protect their babies and kids by eliminating exposure to toxic chemicals without sacrificing performance. 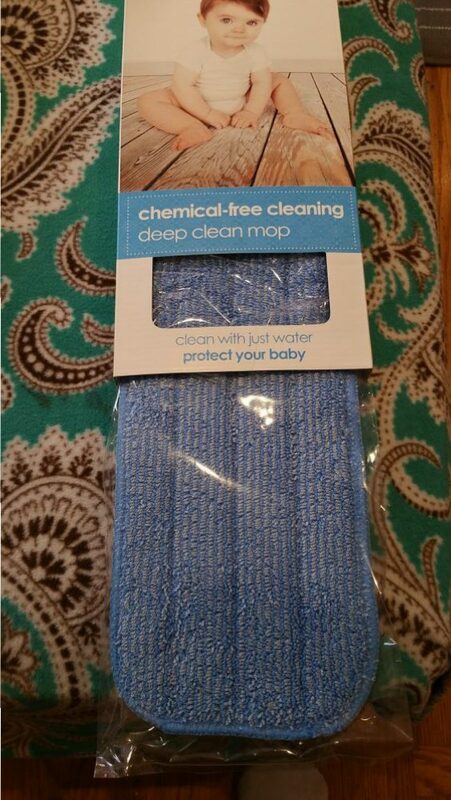 Baby Care’s collection of Chemical-Free Cleaning Cloths helps parents tackle dirt, grim and messes and reduce 99% of bacteria on all the hard surfaces babies come in contact with just water and the cloth. Each cloth designed for a particular task to get the job done quickly, efficiently and without the use of any chemicals. Available Chemical-Free cloths include Stroller & Car Seat Cloth, Table & High Chair Cloth, Toy & Nursery Cloth, and Window & Mirror Cloth. All cloths are reusable and machine washable for up to 300 washes! MSRP: $ 7.99/ each. The Chemical-free Cleaning Home Starter Kit is the trifecta of cleaning cloths! This must-have set includes the three core cloths to clean all the main hard surfaces in the home without chemicals and remove 99% of bacteria by using just water. The set comes with Bathroom Cloth, General Purpose Cloth, and Glass & Polishing Cloth. All cloths in the set are reusable and machine washable for up to 300 washes. MSRP: $19.99. We used this in both the kitchen and bathroom without cleaner! I had a blast whirling away grime from tile, mirrors, floors, and more with the powerful Hurricane Spin Scrubber. My daughter cleaned the FRIDGE. The scrubber brush is a cordless, rechargeable cleaning brush that rotates 300 spins per minute to eradicate soap scum, mildew, and grime without breaking a sweat. Cleaning is easy with the power of Hurricane Spin Scrubber. I’m getting older and bending down and cleaning all these small spaces kill my back but after using this Hurricane Spin Scrubber the cleaning went fast, and I had no pain! The handle extends 4 feet! Also going to use the Hurrican Spin Scrubber on my patio furniture, wheels, bikes, and other items that need a good scrubbing. Do you have SPRING CLEANING Tip or Trick- please share? Previous Post: « Looking for a New Book to Read?